There was an interesting situation in the NBA this week as the San Antonio Spurs basketball team decided to give four of their starters a game off because the team was in a particularly grueling part of the schedule. The NBA commissioner decided that such an action deprived fans the opportunity to see those players and that a fine was in order. I think it’s a pretty difficult situation for which to find a solution. I think the coach in question, Gregg Popovich, has a point in that three of the four players given the day off are older veterans with injury histories, and that giving them the road game off enhances their ability to last out the season. I also think the commissioner has a point in that fans paid a fairly hefty price for those tickets with the hopes of seeing the star players. As a St. Louis Cardinals fan I’ve been to Busch Stadium many times when people in the stands around me were from fairly far away and in town for their once a year trip with children to see the team. When the manager gave Albert Pujols or one of the other stars the day off this was a major disappointment for these fans. There is no doubt the commissioner has the right to impose fines on the coach or the team for this decision. It is well within the duties outlined for that position. The question I ask is whether the league has the right to punish game-day decisions? Should the NFL impose a penalty on the San Francisco 49ers when a I’m disappointed to not see Alex Smith play this week against my Rams? If Danny Amendola is available to play but the coach decides to sit him to prevent further injury does the commissioner step in with a fine? I’m of the opinion that the league should not try to govern these sorts of decisions. If the Spurs sit some of their players then that’s their business. If it bothers enough fans then they will suffer in dropped attendance. Once the league starts getting involved in player-personnel decisions they are creating a dangerous precedent. I don’t think it’s an easy line to draw for the commissioner and I see how people can argue that the integrity of the game is at stake. The reality to me is that every coach is out there making decisions in an attempt to win the championship. If that means sacrificing your chances in a particular game to enhance the chances of overall victory that’s a choice best left to the coach, not the commissioner. I haven’t posted in a while because I’ve been working on my new novel. There have been a number of juicy stories in the news but the NBA – Mark Cuban – Bracelet story is right in my wheelhouse and I couldn’t resist a quick blog. Basically the NBA is now in a business arrangement with a company called Power Balance. They make bracelets for athletes that supposedly boost athletic performance. These types of bracelets have been around for a long time and I remember quite well the trend in the golf industry when many people started wearing copper bracelets for their supposed healing powers. The company in question recently was forced to make a $57 million payment for false advertising and went into bankruptcy. They are now back and partnered with the NBA who is putting pressure on the teams to make them available to their athletes. Here is where Cuban comes in. 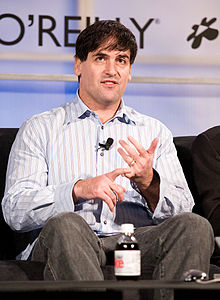 For those of you who are not big sports fans, Mark Cuban is the owner of the NBA team the Dallas Mavericks. It’s a good match. Cuban is known for his outspoken attitude and has been fined by the league to the tune of $1.6 million. He’s flamboyant and a bit of a jackass and not one of my favorite people in the world. But, today, sir, Mr. Cuban, I salute you! A number of scientific studies showed exactly what everyone knows: Benefits of wearing the bracelet are at most a placebo effect. If people want to throw away $40 on the bracelets that’s their business. As a libertarian I think this sort of scam is so transparently phony that anyone taken in gets what they deserve. Even if the company is making false advertising claims people should know better. That beings said, Mr. Cuban is absolutely right that an organization like the NBA, whose influence stretches far and wide, has no business partnering with such scam artists. It is when we give legitimacy to such endeavors, usually for money, that we allow evil to triumph in the world. When we see things like this we must stand up to our friends, our neighbors, our countrymen and tell them this is a scam. They don’t have to believe us but we, the rational, must speak up! Nicely done Mr. Cuban. Nicely done indeed. The Supreme Court justices are making the rounds during their time off and it’s always interesting to hear what these incredibly intelligent men and women think. They generally try to stay pretty far away from controversy but Justice Alito defended the Citizens United decision before the Federalist Society in their annual dinner. Basically he is suggesting that newspapers, radio stations, television stations, and other media outlets have the right to speak freely as provided by the First Amendment and that right should carry over to every other corporate entity. He loses me completely here. No newspaper, radio station, television station, or other media outlet has any right to free speech. In fact, they can’t speak at all. They can’t express themselves in any fashion whatsoever. The people who work for those organizations can certainly express themselves as they desire. That is what the First Amendment is all about. No building, no pen, no stone, no piece of paper has a mouth with which to speak or brain with which to formulate a thought. This seems self-evident to me. This idea that a non-human entity has the right to freedom of speech is absurd. Yes, the writer has that right. The speaker has that right. Can a person donate to any political entity? Of course, that is covered by the First Amendment. Can the owner of a company, the head of a union, a mother, a father, or a teacher donate to a political candidate. Yes, yes, yes, yes, yes. Can a building? Can a piece of paper? Not only is it not allowed by the Constitution but it is also impossible as declared by the physical laws of the universe. Now, a little history lesson. The reason organizations have what is called Corporate Personhood is primarily to hold such organizations to contractual obligations. This was decided in Dartmouth College v. Woodward in 1819. It largely limits the ability of the government to interfere in a private contract. The other reason it exists is to allow people to sue such entities. I cannot see any justifiable reason why a state legislature or the federal government cannot ban giving money to a political candidate by an organization. If they tried to prevent an individual from giving, then I would have a problem. In the end, it is an individual giving. A person or people start an organization, gather money from other individuals, and then someone makes a decision on how to distribute that money to politicians. Dandy. I say make them do it under their real name and donate the money the same way. In the end the result is the same except there is at least a clarity of who is doing what instead of a mass of twisted paths wherein no one knows who is donating to what campaign. This openness is desirable. That being said, I actually welcome the clarification Citizen’s United brings. Before this case there was largely an illusion that our politicians were not bought and sold by those who financed their campaign. That veneer is now destroyed. It is clear that we are not becoming a plutocracy, we are a plutocracy. Those who think that moneyed interests were thwarted in the recent election are living in a fantasy world. Moneyed interests control both major parties all but completely. That is a topic for another day. As a Libertarian I wanted to review how my party did in the 2012 election. Before I begin my review of events I want to say something to my Democrat and Republican friends. I don’t think you were fooled by the media. I don’t think you were tricked into voting against what you wanted. I don’t think the powers that be filled you with so much fear that you voted against your own interests. I think you voted for various candidates with full knowledge of both their strengths and weaknesses. I think you are intelligent, interesting people, and good friends. While I hope you consider Libertarian candidates in the future I’m not under the illusion that you are sheep nor do I blame you for all the ills this country faces. I think you want what’s best for the United States of America. I’m glad you voted and chose to willingly participate in the election. Now, as to the final results. Libertarians are bragging about how Gary Johnson got the largest total number of votes ever for a Libertarian candidate but the reality is he got about 1% of the vote. This is better than usual but not particularly good. This was a major defeat. We Libertarians failed to get our message across to most voters. We failed to convince you that our policies are best for the United States. Libertarians failed to win a single seat in the United States House of Representatives or the Senate. In order to further our agenda we must engage the American public and convince them that our policies are in line with their own. 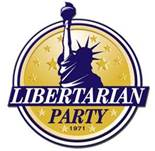 I’m convinced that the policies of the Libertarian party are actually more compatible with the majority of people than are those of either the Democrats or Republicans. Yet we have failed to make a connection with voters. It’s not completely unfair to blame current election laws that favor the two parties are even media outlets for not reporting Libertarian ideas but the reality is that we live in a free country where there is an ever-increasing ability to disseminate information to anyone and everyone without the necessity of an established press presence. That we continue to fail is no one’s fault but our own. Right now people do not want to vote for Libertarians. We must find ways to explain our positions to the American people. We don’t blame Republicans for this failure, we don’t blame Democrats for this failure, we don’t say that people are stupid, we don’t blame the press. If we failed to engage the American people then we take the blame. I, Tom Liberman, did not do enough. Gary Johnson did not do enough. We need to work harder. I need to work harder. World of Warcraft = Victory! 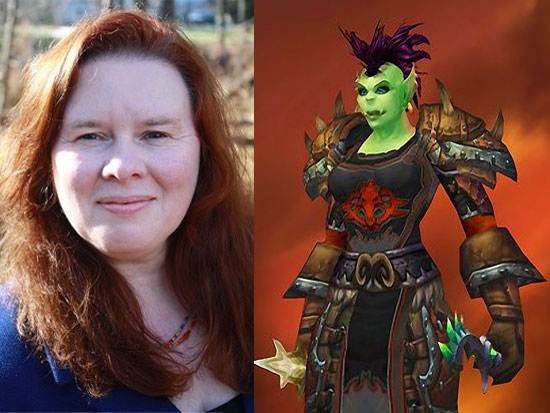 About a month ago I wrote about a candidate for the Maine State Senate who was being attacked for playing World of Warcraft. It was supposedly her “disturbing alter-ego”. Well, the election is over and … She Won! Send your congratulations to her Facebook Page. And especially hooray for voters! Well done! I find one of the most interesting outcomes of the recent election to be the battle between state’s rights and federal authority. 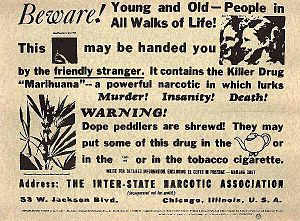 Two states brought this issue directly to a head when they voted to make marijuana legal for people over the age of 21. The great states of Colorado and Washington thumbed their nose at the federal government by passing laws making personal use of marijuana legal. There is a long history of states trying to assert their rights over the federal government and much change, for ill and good, has come from these efforts. The Nullification crisis of 1832 pitted Andrew Jackson against South Carolina. Jackson largely proved victorious although states did gain some compensations. The 17th Amendment to the Constitution largely came about because states were implementing the change individually rather than wait for the federal government. It is not uncommon for states to lead the way by passing laws that eventually the federal government adopts, but it is much rarer for states to make legal that which the federal government has determined to be illegal. That’s what is happening in Colorado, Washington, and almost certainly more states in the coming years. The question the Obama Justice Department must ask itself is if they want to try to fight by enforcing the law without help from the state. It’s an important constitutional question. Eighteen states now make it legal to smoke marijuana with a prescription from a doctor. Until April of 2012 the federal government prosecuted users who obtained marijuana in that way. In that month the Justice Department said they would no longer attempt to prosecute users but would still go after dispensaries. With two states now making it legal for personal use the administration must consider the resources they will devote to this task. Polls suggest the majority of Americans, 56%, think that marijuana should be legal and regulated in the manner of tobacco and alcohol. That is somewhat tangential to the real question; what will the federal government do? I don’t know the answer to that question but I’m fairly certain the ultimate result will be that states force the federal government to capitulate. This demonstrates the importance of state’s rights in our republic. As long as the people in each state have the ability to redress an overstepping federal authority then we have a better chance of basic freedom. Now, sometimes people want to nullify what I would consider legitimate federal jurisdiction but that’s the price we pay for having a free nation. Where the constitution does not speak the rights revert to the states and to the people. Some states and counties might pass laws I don’t like but the right to do so is imperative. As a Libertarian I’m of the strong opinion that the federal government is involved in many areas it does not have the authority to regulate. I hope the states are on their way to redressing this issue without violent revolution in a manner that sees the republic continue.